Twenty-five years into transformation, Central and Eastern European regions have undergone substantial socio-economic restructuring, integrating into European and global networks and producing new patterns of regional differentiation and development. Yet post-socialist modernisation has not been without its contradictions, manifesting in increasing social and territorial inequalities. Recent studies also suggest there are apparent limits to post-socialist growth models, accompanying a new set of challenges within an increasingly uncertain world. 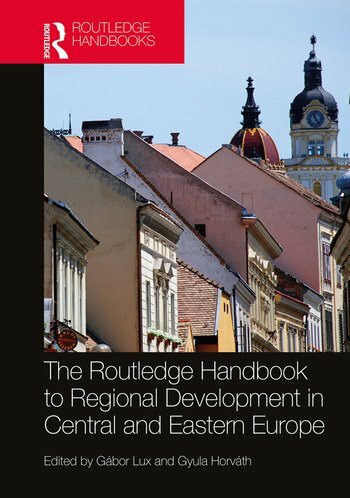 Aiming to deliver a new synthesis of regional development issues at the crossroads between ‘post-socialism’ and ‘post-transition’, this book identifies the main driving forces of spatial restructuring in Central and Eastern Europe, and charts the different regional development paths which take shape against the backdrop of post-crisis Europe. A comparative approach is used to highlight common development challenges and the underlying patterns of socio-economic differentiation alike. The issues investigated within the Handbook extend to a discussion of the varied economic consequences of transition, the social structures and institutional systems which underpin development processes, and the broadly understood sustainability of Central and Eastern Europe’s current development model. This book will be of interest to academics and policymakers working in the fields of regional studies, economic geography, development studies and policy. 11. Rebordering Central and Eastern Europe: Cohesion Policy, Cross-border Cooperation and "Differential Europeanization"
Gábor Lux is Senior Research Fellow at the CERS Institute for Regional Studies, the Hungarian Academy of Sciences, Pécs, Hungary. Gyula Horváth was Research Advisor and former Director-General of the CERS Institute for Regional Studies, the Hungarian Academy of Sciences, Pécs, Hungary.